Crowdfunding has become a hot market for all kinds of ideas, such as the potato salad guy who raised over $55,000 for his recipe (Click here to learn more). The commercial real estate market is not immune to this new trend. With the passage of a new law, there has been a 334% increase of crowdfundings in commercial real estate properties year over year. This brings excitement and a huge dose of caution. First, the excitement. Growing the investor pool and transparency in our market has been a huge deterrent. The advent of REIT’s solved these two issues. Now an investor has to believe in the operator, their investment strategy and the actual projects that the REIT has acquired. Crowdfunding allows individual investors to invest in specific properties and invest smaller amounts in most cases. Now for the caution. Highlighted below in yellow is some of the “fine print” in this kind of investing. First, each individual needs to do their own due diligence. If they are novices, then there is a huge risk for loss. Also, fees will need to be monitored as this type of investing can be very expensive. Finally, the industry is so young, all these projections will inevitably turn out incorrect. Some will be low, but I bet most will be too optimistic. If you are a developer or buyer, why not try it out? If you are an investor, I would wait for this trend to sort out to see who will survive. Or you could buy my book on commercial investing (Click here to buy) to get the basics. P.S. 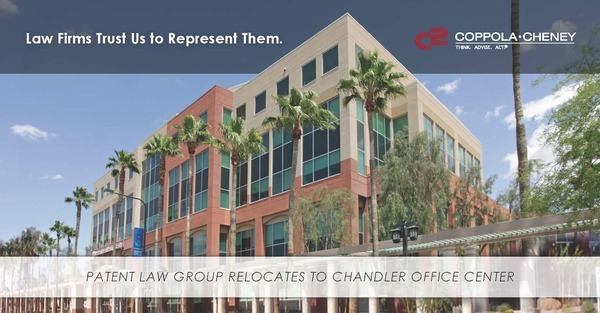 We were fortunate to represent Patent Law Group in negotiating their new lease at Chandler Office Center. For the full postcard, click here. This being baseball season, a baseball metaphor seems apt to describe the stunning year-long rise of real estate crowdfunding: dramatic growth aside, we are still in the bottom half of the first inning. Crowdfunding is much like old-style syndication, but with the turbo engine of the Internet behind it. Internet-based platforms — funding portals — for raising both equity and debt are enabling individual investors and real estate owners and developers to connect directly. And investors are doing just that, with minimum investments ranging from $100 to $1 million. Industry denizens call it a quantum leap forward in improving the efficiency and transparency of conventional, often archaic, fundraising for commercial real estate. Crowdfunding platforms also are reaching out to individual investors as well as to developers and owners of smaller projects that typically do not get a second glance from institutional investors. Why and how has crowdfunding made the leap from “what’s that?” status in just a year? In September 2013, the Jumpstart Our Business Startups (JOBS) Act Title II eased up solicitation rules for private companies seeking investors. Those people must be accredited investors, able to prove that they either have an individual annual income of $200,000 or more or a net worth (excluding their primary residence) of $1 million or more. Rules for Title III of the Act, regarding nonaccredited investors, have yet to be promulgated. But that hasn’t stopped dozens of portals from entering the fray. If anyone knows how quickly the business has grown, it is Ben Miller, co-founder of Washington, D.C.-based Fundrise, a pioneer in the field. Miller and his brother Daniel started the company in 2012. Interviewed for an article that appeared in the fall 2013 issue of Development, Miller said that crowdfunding would “scale faster than anyone expects.” That included himself, as it turns out. Miller’s biggest surprise in the last year has been the growth of new portals, partially a result of the low barrier to entry, he said. Fundrise has grown substantially, too. “We get calls from 10 developers a day,” he said. Consequently, Miller now spends more of his time on company management issues, building the company’s team, and with investors. (Before that, he spent more than 60 weeks visiting three cities a week to meet with real estate companies.) Last year, Miller expected to be working with 100 developers in a year’s time; that number now is closer to 300. One sign of the changing times: three years ago, when Miller met with Larry Silverstein, chairman of Silverstein Properties Inc., developer of the World Trade Center in New York, to discuss the concept, Silverstein said, “Great. Let us know how it goes.” But relationship building pays off. Several months ago, Fundrise raised more than $31 million in its first round of funding from a group of prominent technology, real estate and other backers, including executives of Silverstein Properties as well as Renren, a large social networking company based in China, and individuals in several real estate firms. “Our market will start looking like the public market, with $10 to $20 million a month raised, for iconic buildings,” Miller said. Not all portals are limited to soliciting from accredited investors; state law sometimes enables portals to market to and accept investments from nonaccredited investors. Grady Thrasher, co-founder and CEO of CrowdVested in Georgia, explained that its model is to give local people the opportunity to invest locally, with a $500 minimum. Among the benefits: property owners can show that there is community support for a development and, ultimately, the development returns funds to local pockets. Over the past year, Thrasher, an attorney who already had worked extensively with real estate developers, has spent a lot of time educating investors. How should developers and property owners approach crowdfunding as a new source of capital? Roderick recommended that developers could become portals themselves. “They have the deal flow and the investors,” he said. “Put the deals online. Create it from existing deal flow.” If they are looking for an existing crowdfunding site, he also advised them to look for those that have a lot of capital and the ability to close a deal. Pay close attention to how fees are structured and how the portals will split any promote that becomes part of the deal. What can we expect to see in the next several years? The business will continue to grow, but not all portals will gain traction and consolidation is inevitable, industry observers say. As Kevin Arrabaca, president of real estate investment at AssetAvenue, said: “A lot of groups are [run by] core real estate people but not technology people; or they’re technology people, with a service background, but without a lot of real estate expertise.” AssetAvenue itself first focused on debt investments, but now includes development, investment in cash-flowing properties and refinancing. It also works with what Arrabaca called a rotation of institutional investors. The portals themselves may morph into forms that depart from their origins. Joey Jelinek, co-founder and CEO ofGroundBreaker, for example, explained that, based on feedback the company had gotten from operators who wanted something unique to them, GroundBreaker has revamped its architecture so that each operator can have its own privately branded portal: “You get your own sandbox, with full control of your web-based portal.” Operators can make their own decisions about minimum investments, how they will vet investors and how they provide information to them. GroundBreaker will provide the software (for which it is compensated) and also will act as an investor lead generator through its own website, for which it expects to earn a fee as well. Luan Cox, CEO of Crowdnetic (see “Crowdfunding Metrics” below), believes that one key challenge to the nascent industry’s growth is the risk that a bad actor (either at the issuer or the portal level) could tarnish the industry’s reputation. Both issuers and project sponsors must focus on public awareness, education, promotion and publicity, she said. Along with growth, consolidation and change, bigger names, bigger projects and bigger investments seem inevitable. For example, the Carlton Group, an international real estate investment bank in business since 1991 that has been involved with numerous high-profile transactions, has created the Carlton Accredited Equity Crowdfunding portal. Unlike many of the sites that require minimum investments of $1,000 or $5,000, Carlton’s price of entry is $1 million. Moreover, there will be more specialization, not only by property type or by equity or debt, but also by geographic area. CityShares LLC, for example, provides accredited investors the opportunity to invest in appreciating New York City neighborhoods (some of which may be just shy of the gentrifying stage). It launched its first Neighborhood Investment Fund (NIF) for Bedford-Stuyvesant in Brooklyn and will invest in a portfolio of residential and mixed-use properties there. And here, perhaps, is the ultimate irony. An industry that arose to disrupt the status quo of raising capital through conventional means, particularly institutional capital, has caught the eye of major investors, such as venture capital funds, as well as lending institutions and investment banks. Nor is it out of the realm of possibility that a few of these portals will become public companies themselves. But that’s for the industry’s later innings. For owners and developers contemplating dipping their toes into these new waters, the experience of David Pittman, principal of Acacia Real Estate Group, is noteworthy. Frustrated with the lack of institutional capital available for smaller industrial developments, Pittman attended a crowdfunding conference, read a lot about the subject and spent considerable time talking with people at GroundBreaker last summer. Acacia was looking for equity investment for smaller, for-sale industrial properties in the San Gabriel Valley of California, which has experienced low vacancy, high demand and antiquated supply. So Pittman decided to take the leap, to raise up to $5 million in equity for the Los Angeles Flex Center, a 13-acre site for six buildings of 35,000 to 50,000 square feet each. The total project cost is expected to be $27.2 million, with the cost of closing on the land $12.88 million. Acacia offered investors a 10 percent preferred return and an estimated total return of 59 percent, with an estimated maturity of two years. 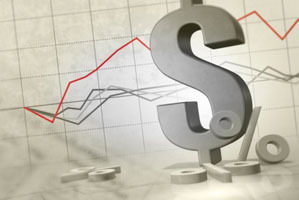 Since the rules allowing for general solicitation went into effect, Crowdnetic, a provider of technology and market data solutions to the global crowdfinance marketplace, has aggregated data for 48 U.S. real estate “private issuers publicly raising (PIPRs).” From the end of the first month of data collection (October 31, 2013) through May 31, 2014, the number of total PIPRs in the industry grew by 336.4 percent. Of those PIPRs, more than half were involved with residential real estate, while nearly one quarter were involved with two or more real estate categories. The percentage involved solely with nonresidential (office, industrial, retail and hotel) properties is in the single digits. The total amount of recorded capital commitments received by these 48 PIPRs since inclusion in Crowdnetic’s data is nearly $23 million. After services and technology, real estate is the third-largest crowdfunding business category. The states attracting the most crowdfunding capital are California, New York, Texas, Florida and Illinois.